These days, it’s harder for people to keep track of their budgeting and finance on pen and paper. The times have changed so much that, unfortunately, everything is more costly and complicated. How do you know what you’ve spent is worth the investment? Luckily, the times have also changed to make managing personal finance more convenient and easy for people, especially young adults, to practice and embrace financial management with the help of finance apps and sites. Whether it’s for keeping track of your expenses or bill reminders, there’s always an app or site that’s accessible and easy to use with just a click or a touch of your finger. Here are six of them to help you embrace your geekness and better manage your money. Some of the links included are partner links, meaning if you click through and sign up or make a purchase, I earn a small commission. For a quick, easy and secure loan without the traditional stressful application, try Earnest and get the best merit-based loan offers instead of credit-based loans. They do this by having a thorough application so they can check various variables and data points and use these to predict what your finances will look like. They offer personal loan and student loan refinance. More than that, Earnest doesn’t charge any fees. Yes, no late fees, origination fees, and hidden fees. They also have no penalty for prepaying loans with Earnest either. Their loan programs are really flexible and secure. They also have great customer service where they have representatives for customers who are experiencing financial hardship. If you’re young but dedicated to experiencing and achieving financial success, try looking into a loan with Earnest. If you’re employed and looking for financial advice and want to properly manage and plan your 401K, then Blooom is a must-try app. All you have to do is tell where your 401K is currently held and provide the log in and password for your current 401K institution and Blooom will do the rest. They will analyze your 401K across more than a thousand different funds and when they’re done, they’ll show a flower instead of the usual complicated pie charts to represent the health of your 401K. The team can also show you how to fix them and even let you weigh in financial decisions for stock and bond allocations you are comfortable with. Blooom does everything else for you, too: they will select the right funds in your 401K, make the changes for you, and monitor and rebalance your 401K quarterly. Indeed, Blooom is one of the most unique finance apps in the market that greatly evaluate, analyze, and solve your financial problems and help you balance and grow your 401K. With your best interest in mind, Payoff helps people pay off their credit cards faster and save money. Instead of dealing with overwhelming credit card bills, you can use Payoff to simplify them down to one monthly payment, all with lower rates than your credit cards designed to remove up to $25,000 of your credit card debt as quickly as possible. Their website is easy to use and is secure. I'm a brand ambassador for Payoff so let me know if you have any questions! You only need to apply online, and if approved, your bank account will be deposited with Payoff money so you can pay off your credit card balances. Payoff also eliminates fees such as late fees and prepayment fees. Payoff is a perfect financial service for people who constantly use credit cards but also get stressed when the bills come knocking on their door. Digit is a unique financial management app that automates your savings by connecting with your bank account and saving some of your money to your Digit savings. However, they don’t over-draft your account so you can be sure you have one less problem. Digit also sends text updates that will let you know how much you currently have in your account, and how much you’ve saved. With just a text, you too can contact Digit and access your savings anytime with unlimited transfers, no minimums, and no fees. This finance app is good for people who are always on the go with their devices and would love to save money automatically without having nagging temptations and knowing it’s secure and safe. Personal Capital is an app that helps you track and understand your financial accounts by connecting your various accounts such as your credit cards, mortgage, bank accounts, investment accounts and more. They will then explain your situation and offer basic investment guidance to improve your financial situation and practices. Connecting your accounts is extremely easy since the apps are user-friendly and Personal Capital will automatically update it everyday. 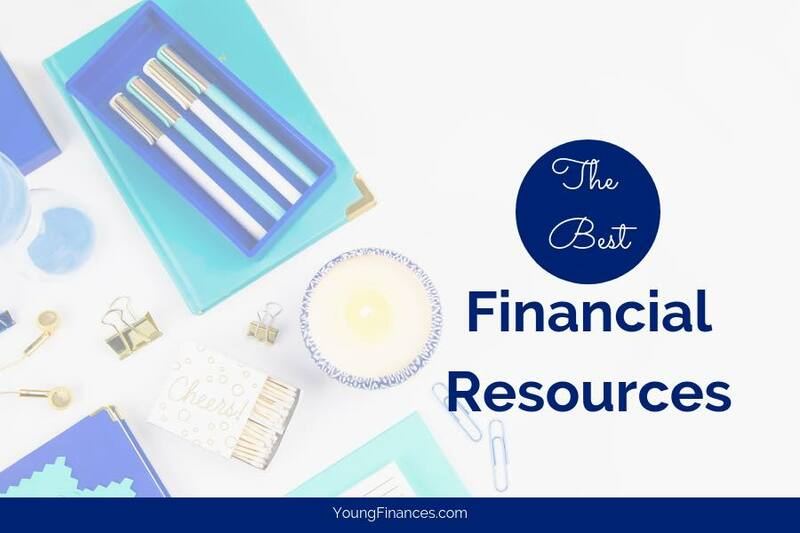 The site uses series of charts and graphs to help you understand your savings and investments including your net worth, account balances, income reports, spending reports, and many more. This comprehensive budget service also introduces advanced financial planning concepts for younger people who are trying to grasp financial management and its benefits. This New York City-based finance app and site is ideal for US college graduates who are exerting efforts to manage, understand, and pay their student loans faster. Gradible provides loan evaluation resources to make sure that members have a repayment plan that doesn’t nag them all the time for demanding monthly payments and excessive interest rates and is suited to their financial situation. More than that, Gradible also provides access to exclusive discounts, offers, and earning opportunities to members to help them accelerate their repayment. Gradible is an ideal app and site for college graduates looking into paying their loans fast and start saving again for future investments. With all the technology in the world and in the market today, you can finally say goodbye to stressful paperwork financial management. You’re young, but you don’t have to be discouraged with practicing financial management because these finance apps and sites are easy to use, secure, and convenient. With just a swipe of your fingers, it’s now easier to track your expenses and save lots of money for the future. They are great for young people since it combines financial management with technology and is easily accessible on their laptops and mobiles. If you have trouble managing your finance or are young and seeking help to understand financial management, be sure to try and test these six finance apps and sites which offer financial management at its best right in the palm of your hands.